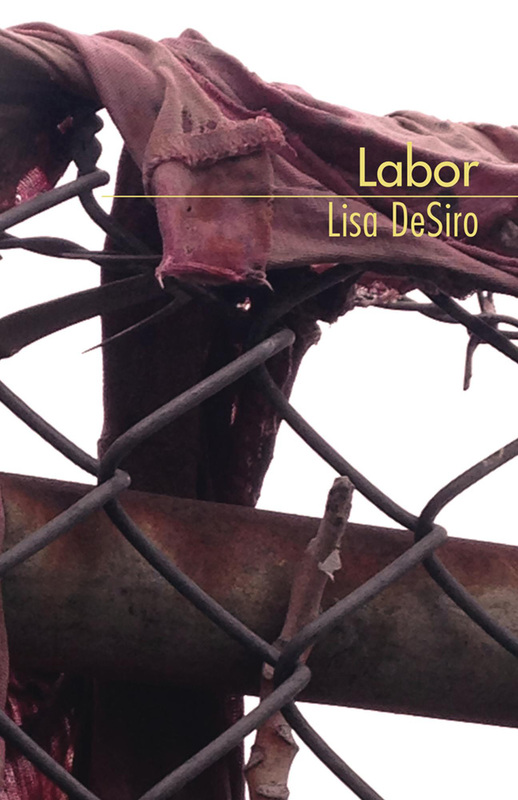 Lisa DeSiro is the author of Labor (Nixes Mate, 2018) and Grief Dreams (White Knuckle Press, 2017). Her poems have been published in two anthologies and many journals, and have been set to music by several composers. She lives in Cambridge, Massachusetts, where she earned her MFA in Creative Writing from Lesley University. She works for a non-profit organization and is an assistant editor for Indolent Books. Read more about her at thepoetpianist.com. Probably I first encountered poetry in the form of nursery rhymes my mother read aloud to me. She was a reading teacher and an avid reader who would bring my brother and me frequently to the library. I learned to read before starting kindergarten, around age 4. The first book of poetry I remember is Robert Louis Stevenson’s A Child’s Garden of Verses, the illustrated Golden Books edition; the images combined with the sound of the words had a powerful effect on me. Then my mother’s father (a WWII veteran, retired Mobil employee, and lover of literature) gave me three poetry collections: for my 8th birthday, a little chapbook titled simply Poems, compiled by Harriet Luella McCollum, along with a copy of Rudyard Kipling’s Barrack Room Ballads and Other Poems that had belonged to my great-grandfather; and for Christmas when I was 10, an anthology called 101 Famous Poems (published in 1958). This was rather mature material for a child to receive! But I was fascinated; I remember borrowing my mother’s cassette recorder and taping myself reading “Gunga Din” out loud. At around age 9 I started writing short rhyming poems. I wrote my first acrostic poem (“Jack-o-Lantern”) at age 10 or 11, for a school project. I also wrote some short stories and made little books with my own drawings. During high school I filled two journals with teenaged poetry. By then I knew I wanted to be a writer. In my English classes we had the standard curriculum of classics, as they were defined then (the 1980s). In my junior year of high school I was fortunate to participate in a week-long summer writing program at Lebanon Valley College, where I learned about a wider range of American poets. But it wasn’t until I went to Binghamton University and became a Literature & Creative Writing major that I really encountered a greater diversity of contemporary poetry: poetry by women, people of color, gay and lesbian writers. (This was in the late ’80s/early 1990s, when several formative anthologies were emerging.) All of these influences came with me when I moved to Boston in 1993 for graduate school, intending to pursue a writing career. Then my life took a different direction for about 10 years, as I became a working musician; but throughout all those years, I continued to write poems. Eventually I returned to writing as my main focus, going back to school in my late 30s to earn an MFA from Lesley University, where I was brought up to speed on poetry of the 21st century. Only recently (now in my 40s) did I begin submitting individual poems and manuscripts to journals and presses. So my path to this first book publication has been long! I’ve gone through periods where a daily writing routine was in place, but lately it’s been erratic. I always keep a small notebook in my purse/bag and on my nightstand, because I often get ideas while walking and traveling or while dreaming. There is a certain pleasure in early morning writing, at my desk by the window. Or scribbling late at night in bed. That being said, if the poetry itch arises I will scratch it wherever and whenever, even if that means composing something in my head and memorizing it until I can write it down. My preference is to write a first draft by hand on paper, then type it into a document on my computer, and then revise. However, in the past couple years I’ve actually done some first drafts onscreen, sometimes even sending e-mails to myself which I then copy and paste into a Pages or Word doc. A lot of my poems come from observation. I’ll see/hear/witness things and I want to describe them. Or I try to transcribe my dreams, which tend to be vivid and strange. I often write about personal experiences, especially things that bother or puzzle me; one could call it writing as an attempt at understanding. Sometimes my poems do stem from sound, phrases that pop into my head and persist, repeating in a kind-of loop until I write them down. And sometimes I write idea-based poems, using a concept or prompt as a starting point. From childhood/high school: the “dead white guys” like Kipling, Wordsworth, Longfellow, Shakespeare, Whitman. From my first years of college: T.S. Eliot, Robert Frost, Wallace Stevens, W.S. Merwin, John Ashbery, Elizabeth Bishop, Lucille Clifton, Sylvia Plath, Gwendolyn Brooks, Denise Levertov, Jorie Graham, Denise Duhamel. From my years as a conservatory student studying art song: Mallarmé, Rimbaud, Verlaine, Rilke, Goethe, and Emily Dickinson (Aaron Copland set many of her texts to music). From my two years in the MFA program at Lesley: Louise Glück, Rita Dove, Ann Carson, Sharon Olds, Brigit Pegeen Kelly, Edna St. Vincent Millay, Dorothy Parker, Frank O'Hara, Richard Wilbur, Czeslaw Milosz, Wislawa Szymborska. From current journals and recent books: A. E. Stallings, Aimee Nezhukumatathil, Marie Howe, Joan Houlihan, Tyehimba Jess, Terrance Hayes, Steph Burt, Spencer Reece, Ocean Vuong, and many others from whom I continue to learn what poetry is capable of doing and being. This collection developed unexpectedly, from separate pieces written at different times . . . poems I wrote in the '90s and early 2000s. Poems I wrote after the Boston Marathon bombing and subsequent manhunt in April 2013, when I was participating in the Tupelo Press 30/30 Project (writing one poem per day for a month). Acrostic riddle-poems I wrote while participating in the 30/30 Project again during September 2016. A set of prose poems I wrote about various jobs I held during my teens, 20s, and early 30s. Poems I wrote in response to the most recent presidential campaign/election and our country’s current political/societal issues. I got the idea to put these various components together because of what they had in common—observations of city life, work environments, social history, and urban/suburban communities in the 20th/21st centuries— and I organized them into a sequence. Some of the individual poems were published in journals, but the collection as a whole didn't feel "finished" yet so I wasn't submitting it anywhere. Instead I was concentrating on my two other manuscripts-in-progress. Then I received an e-mail from Michael McInnis at Nixes Mate. He'd seen my e-chapbook, Grief Dreams, published online by White Knuckle Press (they were also publishing a chapbook of his). Michael asked if I had any longer manuscripts. After browsing the Nixes Mate website I decided that my "unfinished" collection might suit their style and length requirements, so I sent it. To my delight, they accepted it, and Michael patiently worked with me in refining the manuscript prior to publication. The title Labor had been suggested (by a colleague at the Colrain Poetry Manuscript Conference; I'm grateful to her!) for one of my other book manuscripts. For that one, I didn't think Labor was the right choice. But I realized it would be a fitting title for a collection that contains a group of prose poems about odd jobs and an acrostic poem written on Labor Day; and because this collection focuses on people laboring through issues related to race, gender, and equality. Another unifying factor is the use of form: in addition to the prose poems and acrostics the book contains sonnets, syllabics, rhyming quatrains, haiku, a ghazal, a golden shovel, a pantoum, a triolet, and an elegy. polo shirt, and cargo pants.